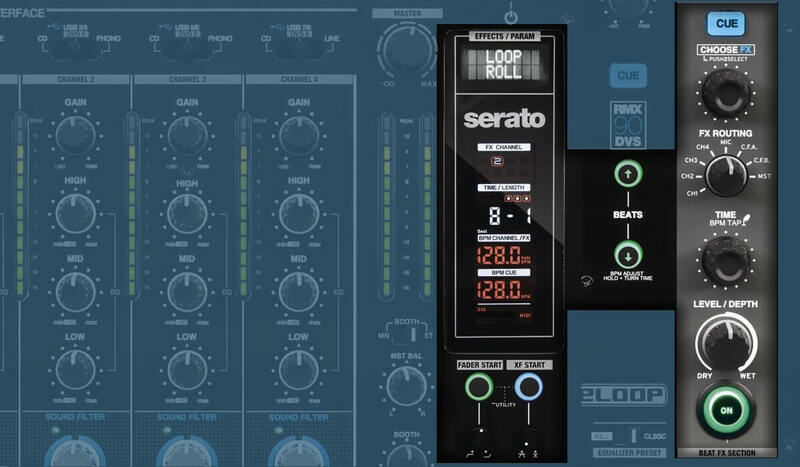 The Reloop RMX-90 DVS is a great Serato DJ Pro DVS mixer, with a solid build quality, a great effects section, and a generous input/output section. 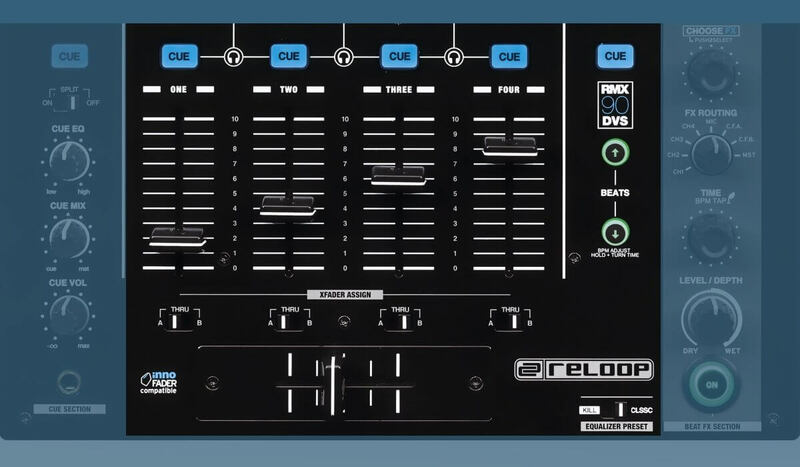 Reloop describes the RMX-90 DVS as a “High-Performance Club Mixer for Serato DJ Pro” and the club bit in there is not in vain. 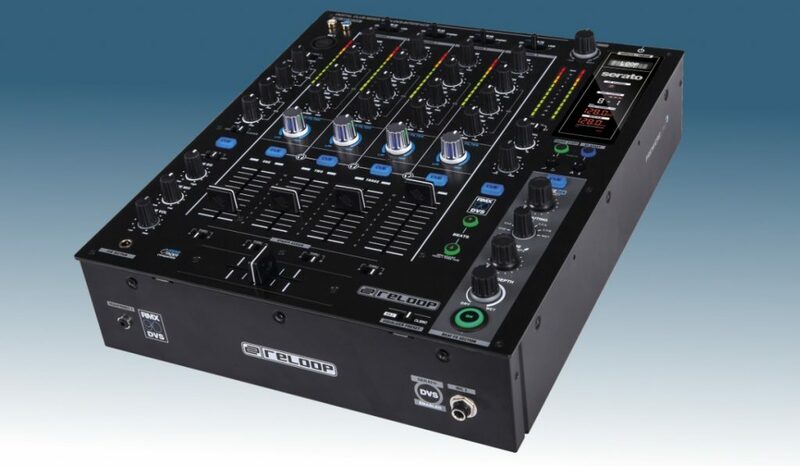 The RMX-90 is a very solid mixer, with a full metal body and a serious amount of weight to it. All the knobs and faders feel firm and build to last through to more than expected club abuse. One of the RMX-90 DVS’s main selling points is the support for Serato DJ Pro and DVS. Add to that the built-in effects module, professional array of inputs & outputs and the already mentioned excellent build quality and the USD 999 (or even USD 799) price can only be called very reasonable. Let’s first zoom into the left side of the mixer. This section is dedicated to the mic and inputs & controls. It’s basically an extra channel on the mixer that can be toggled between an AUX input and a mic input. The RMX-90 DVS has two mic inputs, so when using the AUX, you still have a mic channel available. There are two volume controls, one for the shared mic and aux input and one fo the other mic input. Additionally, there is a dedicated 2 band EQ (high and low) for both mic and aux inputs. Finally, there is a talkover switch to automatically dim the sound when you use the mic. 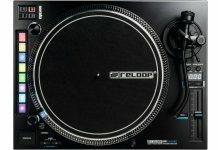 The Reloop RMX-90 DVS has apart from the usual CUE controls such as CUE Mix, CUE Vol, and a split cue switch, a CUE EQ knob, which sounds more like a filter. This is a handy feature, as it helps to isolate highs or lows when cueing up tracks. Nice! The Channel knobs are laid out in a very classical way. You could put them next to any other club mixer out there and you wouldn’t see much of a difference. And that is definitely a good thing. I like the channel source switches, it’s easy to find them in a darkened environment and see what they are set to, even in low light. Each channel has a 3 band EQ, a gain knob and an extra large filter knob. One thing that the RMX-90 DVS doesn’t have are something that most Pioneer DJ mixers have: the sound color effects. These effects make the filter knob more interesting as these ad more possibilities. So if you are used to those, having only the filter might feel a bit limited. On the other hand, you do have a serious selection of beat effects of your disposal. On the right side, there are the master & booth controls. The booth section has a stereo/mono switch, which is handy as usually, you don’t want the booth to come out in stereo anyway. There is also a master balance knob. The faders on the RMX-90 DVS are all high-quality, including the replaceable Inno Fader crossfader. Both can be set to start the track when opened (fader start and crossfader start) and there is a curve adjust knob for both. However, these controls are located in the middle of the effects section, which is not the best possible place, but that’s just a question of getting used to it. 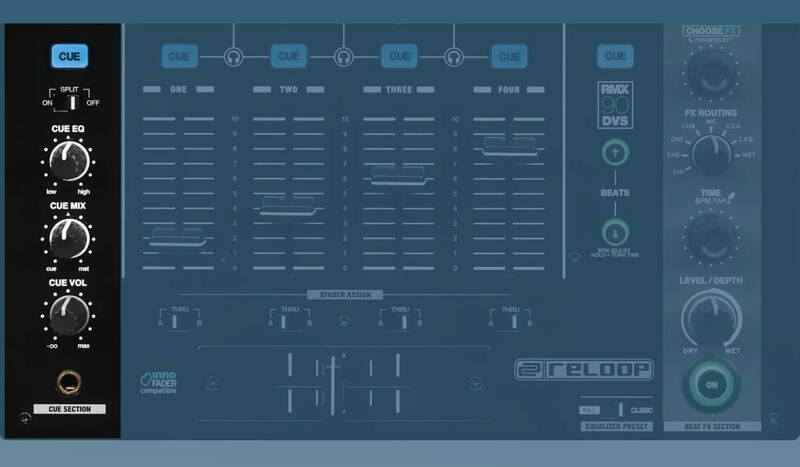 The effects section on the Reloop RMX-90 DVS is quite advanced, and certainly for the price. The overall design reminds a lot of Pioneer DJ’s mixers, including the big backlit button to activate the effects. The mixer has a total of twelve effects: Flanger, Delay, Echo, Reverb, Transformer, Pitch Shift, Loop Roll, Reverse Loop, Noise, Bitcrusher, Gate, Tape Delay. The effects are good overall, but the first 4 ones (Flanger, Delay, Echo, and Reverb) are the ones I would probably use on a regular basis. The LCD screens give a lot of info, such as the selected FX and FX channel, the beat length for the selected effect, the BPM of the effect channel and finally, the BPM of the CUE channel. 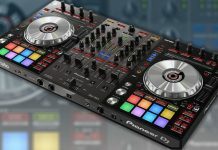 There are 2 buttons to change the effects beats, which is less sophisticated than, for example, the touch strip on the Denon DJ X1800 or the X-Pad on the DJM-900 NXS2, but it will certainly do the job fine. There are rotary knobs for switching between effects and the effects time, a select knob for switching the effects channel, a knob for adapting the effects dry/wet setting and a big green button to switch the effects engine on and off. 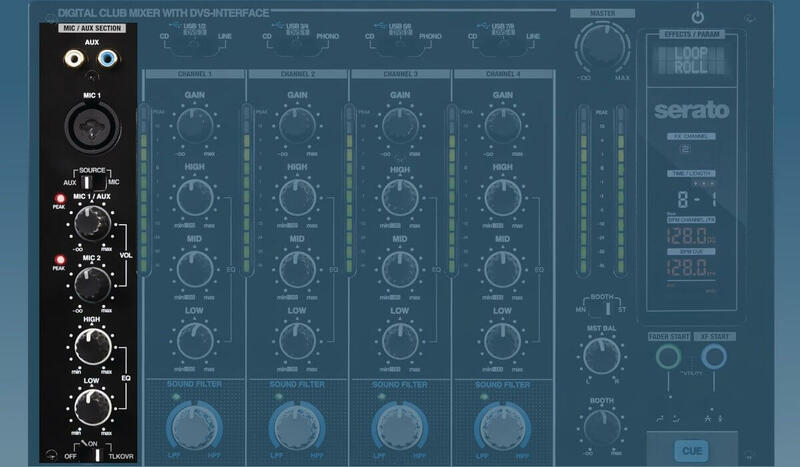 The utility menu contains a host of “under the hood” settings that you can adapt to your likings such as the filter resonance, the EQ frequency range (low, high), the audio interface routing and others. The RMX-90 is quite the powerhouse when it comes to connections. There are 4 audio outputs in total: 1 RCA master, 1 RCA record out, 1 XLR master and 1 TRS booth. Each channel has its RCA input obviously with grounding for turntables on channel 3 and channel 4. Besides the expected USB output to connect your computer, there is also a 3 way USB hub, which is handy if you need to plug in a lot of other stuff and don’t want to use separate hubs, or if you simply don’t have enough ports on your laptop. 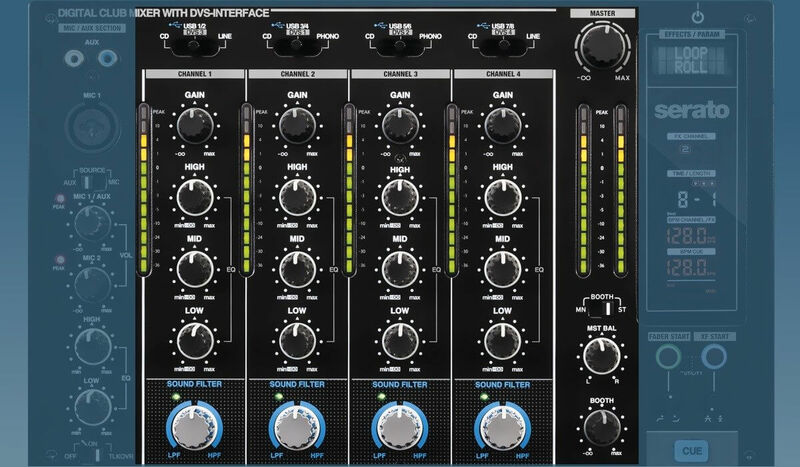 If you are in for a budget mixer that can handle Serato DJ Pro DVS, then the RMX-90 DVS should definitely be on your shortlist. 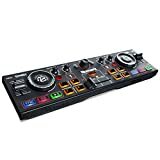 The great build quality, the built-in effects section, and the inclusion of the full Serato DJ Pro software plus control vinyl makes it an interesting “all-in-one” package. For less than USD 1000 you cannot really do much better, but slightly over that amount, you can go for the Pioneer DJ DJM-750MK2. This mixer has a bit more features, such as sound color effects instead of only a filter, but supports Rekordbox DJ DVS instead of Serato. 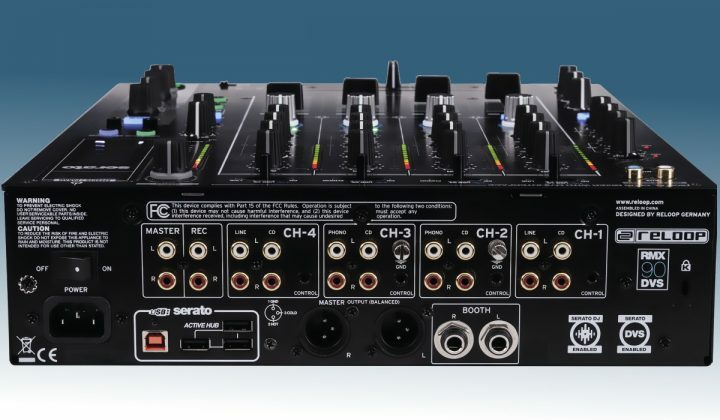 Interestingly, the DJM-750MK2 also supports Native Instruments Traktor Scratch Pro 2, so if you want DVS support for multiple platforms, the DJM-750MK2 would be a better choice. 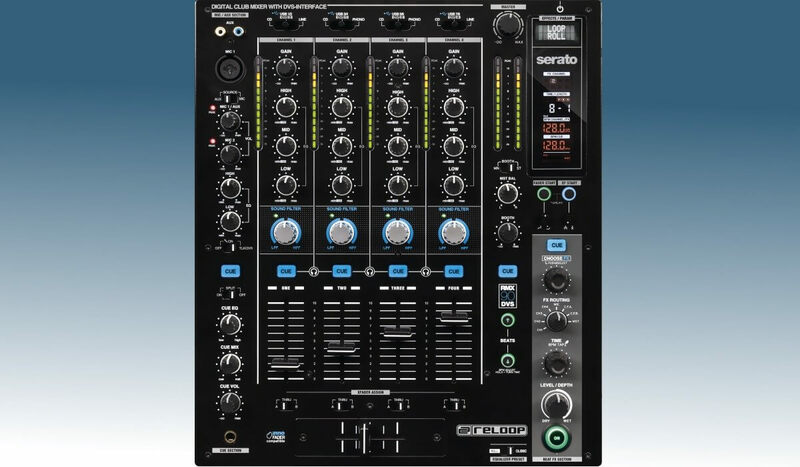 If you want to see them side to side, check my RMX-90 DVS vs DJM-750MK2 feature here. But back to the RMX-90 DVS. 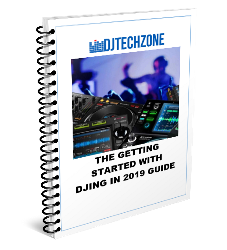 For the price, it’s hard to beat really, and while you probably won’t see many of them in more professional settings such as club & festivals, a smaller club or mobile DJ rig won’t look bad with one of these in it. 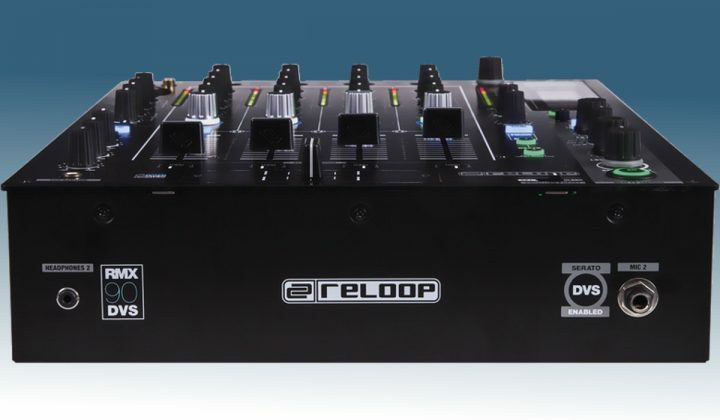 The fact Reloop stuck to the “Industry leading” design set out by Pioneer DJ makes it easy to transition between a DJM mixer and the RMX-90 DVS, which is always a good thing.